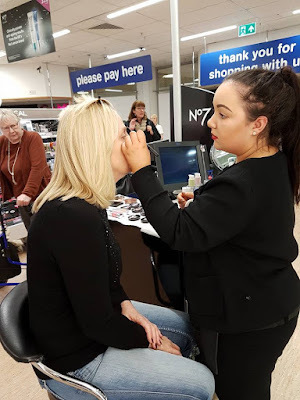 As part of Mother's Day, The Swan Centre in Eastleigh hosted a competition for a deserving mum to win a pamper day worth £200, including a makeover and personal shopping experience. It was the lovely Lorraine who won the prize after being nominated by her daughter Kelly as a show of appreciation for everything she does! We started the day with coffee and cake at Costa Coffee and were briefed on where the lucky mum was going to be visiting throughout the day. Firstly, Lorraine was heading to Titanium Hair to have a re-style where the ladies at the salon transformed it into a sleek bob. Our third stop was lunch at Boswells to refuel for the Personal Styling session ahead. We hit the shops to have a browse and as the stylist for the day, it was my job to find some spring fashion pieces for Lorraine. I advised her on what she should be wearing for her body shape, as well as some tips to help style the existing items in her wardrobe, including the new additions she would be taking home with her. Lorraine was whisked off for her make-over at Boots, with a No7 makeup artist. 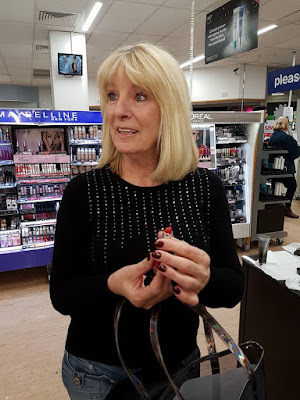 Having had a skin tone analysis and being given product recommendations and samples, as well as expert tips and tricks, she returned with a beautiful natural look and an amazing Jimmy Choo goodie bag including Dior, YSL & Lancome. The final part of the day was the grand reveal of Lorraine's new look. Dressed head to toe in New Look - the outfit which came to under £100 included wearable, yet stylish pieces. In your wardrobe, it's all about having versatile items that can be used within multiple looks. I pushed the boundaries slightly and put Lorraine in a pair of ripped skinnies to add a bit of edge to the look. Teamed with a khaki vest top, suede biker jacket and neutral heels to elongate the leg, Lorraine was ready to hit the town (although she was off to cook dinner, being the amazing mum she is!). I demonstrated how the look could be worn casually during the day, simply by adding a pair of trainers and everyday handbag. I accessorised the outfit with a gold metallic bag and several pieces of jewellery. 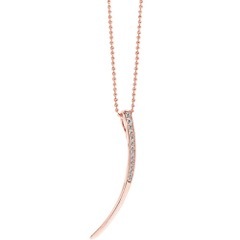 David Mellor Jewellers kindly gifted a piece of Sif Jakobs Jewellery, a lovely rose gold plated pendant necklace worth £119, which fitted perfectly with the theme of the outfit. We also managed to pick up some great items from Pep&Co as they were giving away a £30 voucher as part of the day, including an on trend embroidered shirt, some grey boots and a lovely linen shirt. Perhaps I'm slightly biased, but as you would agree Lorraine looks amazing and has absolutely no reason to be short of any confidence. If you head over to The Swan Centre's Facebook page, you can see a few of my stylist picks from the day including items from New Look and some bargain buys from Pep&Co, as well as a live stream of the whole day. It was pleasure to spend time with Lorraine & Kelly - both of which were totally deserving of winning the prize and it was lovely to see how truly grateful Lorraine was after her day of pampering.